Item # 281783 Stash Points: 799 (?) This is the number of points you get in The Zumiez Stash for purchasing this item. Stash points are redeemable for exclusive rewards only available to Zumiez Stash members. To redeem your points check out the rewards catalog on thestash.zumiez.com. Get the grip to rip with the Modular Mat Black Snowboard Stomp Pad from Dakine. An easy-application comes from the peel and stick adhesive backing while the 3-piece poly urethane design allows you to customize your one-footing traction to the size of your foot. 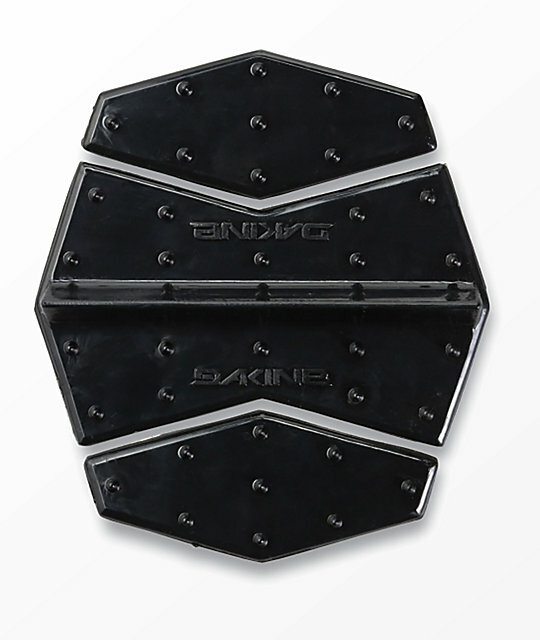 Modular Mat Black Snowboard Stomp Pad from Dakine. Raised center bar for scraping snow off boots. Peel & stick adhesive backing for easy application. Three configurable pieces for customization. Traction when one-footing and skating to and from the chairlift.